Collaboration software company Smartsheet has purchased TernPro, a Seattle software company best known for its Slope product that allows teams to collaborate on and manage work. 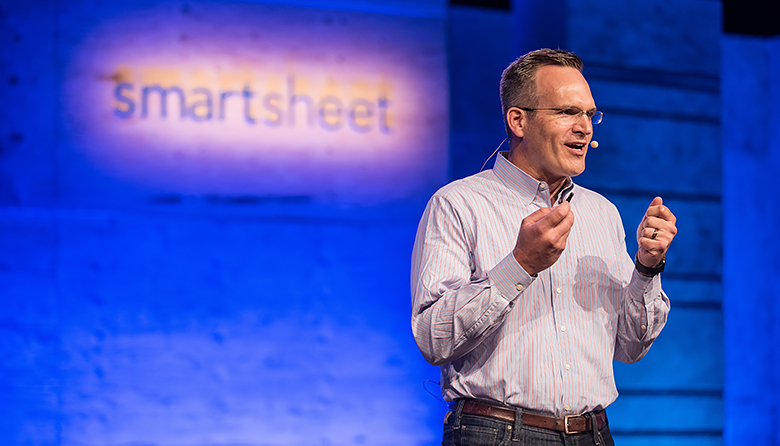 All seven TernPro employees, including co-founders Dan Bloom and Brian Boschè, will join Smartsheet, which offers a cloud-based platform to streamline work processes. Financial terms of the deal were not disclosed. Smartsheet, which raised $150 million in its initial public offering last year, will integrate Slope into its existing product offerings. The company said Slope will allow Smartsheet users to give feedback on images, videos, documents and other content directly in the app. TernPro, which was founded in 2014, has more than 100 customers, including CBS Sports Network, Microsoft Corp. and Major League Baseball’s Oakland A’s. Smartsheet has more than 77,000 customers and 4.5 million users in 190 countries. A report by Gleanster Research found that businesses waste almost $1 billion in production inefficiencies. “(Slope) is relevant to workflows in a wide range of use cases and industries, including marketing and creative work,” says Smartsheet CEO Mark Mader.